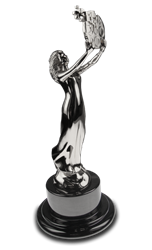 Modmacro won twelve awards in the 2016 AVA Digital Awards, including three Platinum trophies, six Gold trophies and three Honorable Mention certificates. Awards came in categories such as Website Home Page Design, Small Business Website Design, Facebook Presence and Informational Video. The AVA Digital Awards is a respected competition that receives entries from a wide range of organizations, including many large agencies. To be grouped among some of the best in the industry is extremely gratifying. Modmacro, a boutique web design and digital marketing firm in Southern California, announced today that it is the winner of twelve awards in the 2016 AVA Digital Awards, including three Platinum trophies, six Gold trophies and three Honorable Mention certificates. Awards came in categories such as Website Home Page Design, Small Business Website Design, Facebook Presence and Informational Video. The entries receiving Platinum trophies, the highest distinction in the competition, were the Inspirations Photography home page; the Businessing Magazine website, which was entered in the Information Website category; and the AV Programming Associates website, which was one of only three Platinum winners in the Small Business Website category. The AVA Digital Awards is an international competition that is administered and judged by the Association of Marketing and Communication Professionals (AMCP). Competition entrants include individuals, companies and organizations that have produced any type of digital media for internal or external purposes, and the awards honor those that have excelled in converging the digital arts, technology and information. To view a complete list of the awards received by Modmacro, visit the Awards and Honors page on their website. An award-winning web design and digital marketing firm, Modmacro partners with select small businesses to strategically grow their companies. Their integrated marketing approach is based on a healthy mix of original creativity (design), visual appeal (branding), authentic story sharing, (PR), driving targeted traffic (SEO), original content creation, user experience design considerations (UX), and practical data insights (analytics). Now in their sixth year, the company delivers tailor-made marketing solutions whose results illustrate clear value to profit-minded decision makers. Through a simple, proven process, Modmacro’s approach often challenges established thinking and reboots the status quo. The team invests in educating clients, as well as themselves, with the goal of developing lasting, partnership-level relationship. The AMCP is an international organization founded in 1995 by a group of creative professionals to administer recognition programs, which include the AVA Awards, Hermes Creative Awards, MarCom Awards and Communitas Awards. Today, the organization consists of several thousand marketing, communication, advertising, public relations and media production professionals who are dedicated to offering respected, fair competitions that are open to everyone.